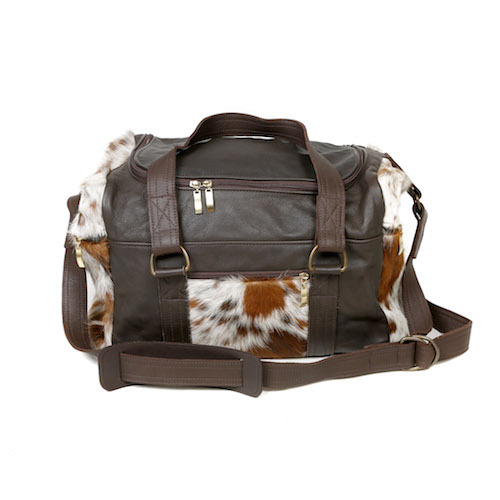 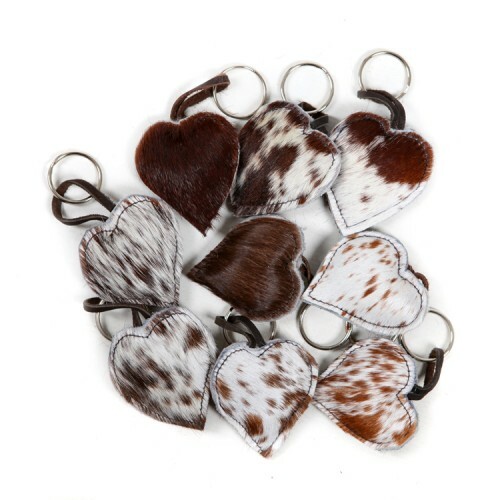 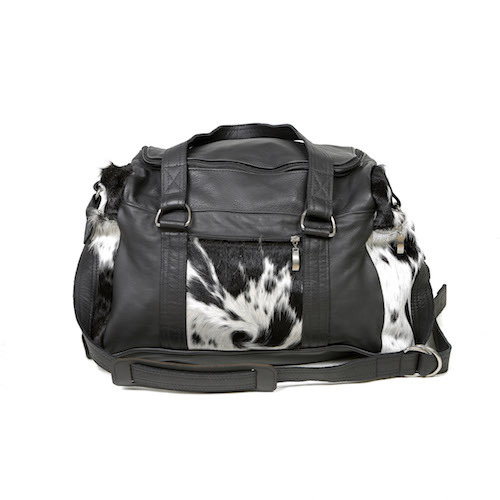 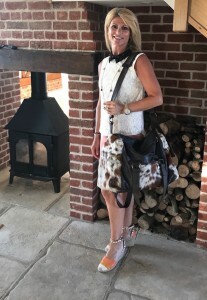 Zulucow’s ‘Cowhide Weekend Bag’ is a luxe statement piece. 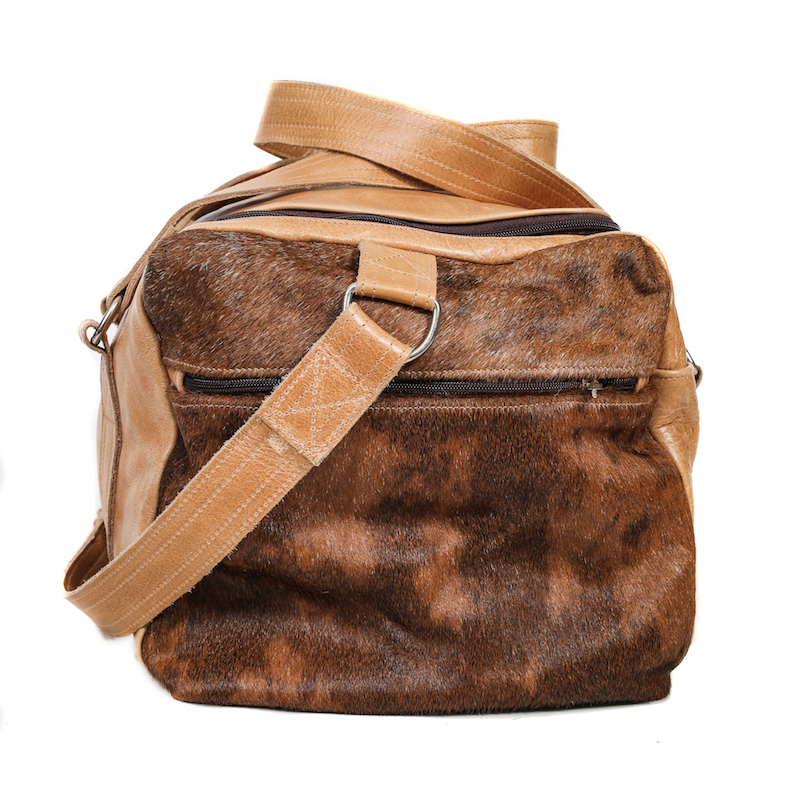 Featured in ‘Tatler’ magazine and ‘The Times’ in 2016. 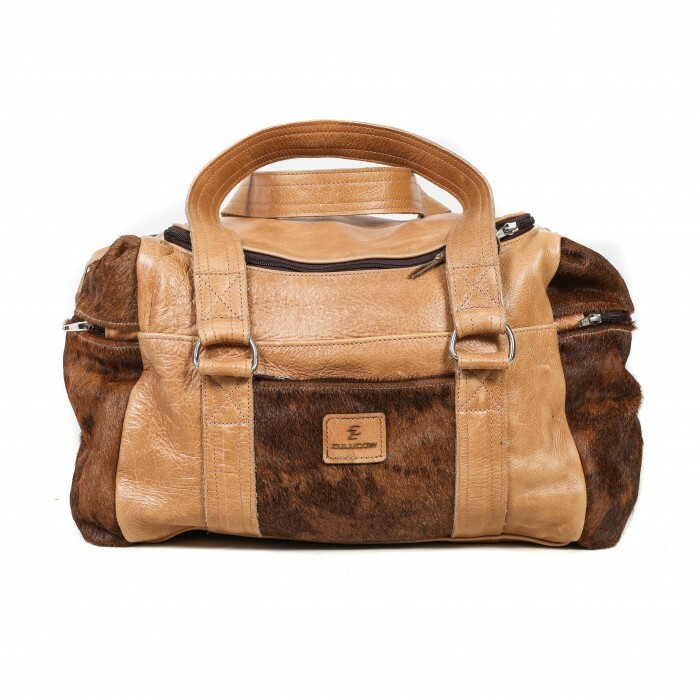 Selected by ‘Horse & Hound’ Christmas Gift Guide in November 2017 This smart, robust travel bag is crafted by hand from butter-soft leather and exquisite cowhide. 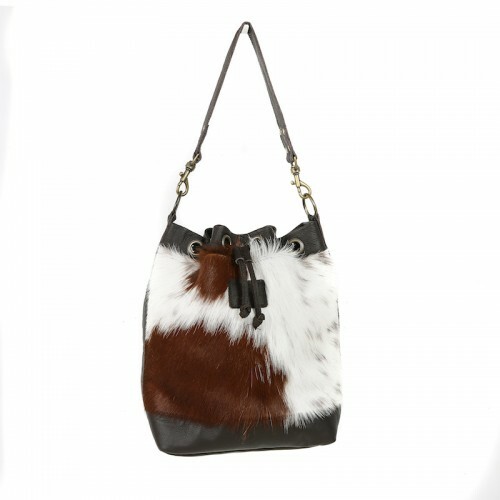 Carry yours by the top handles or the shoulder straps. 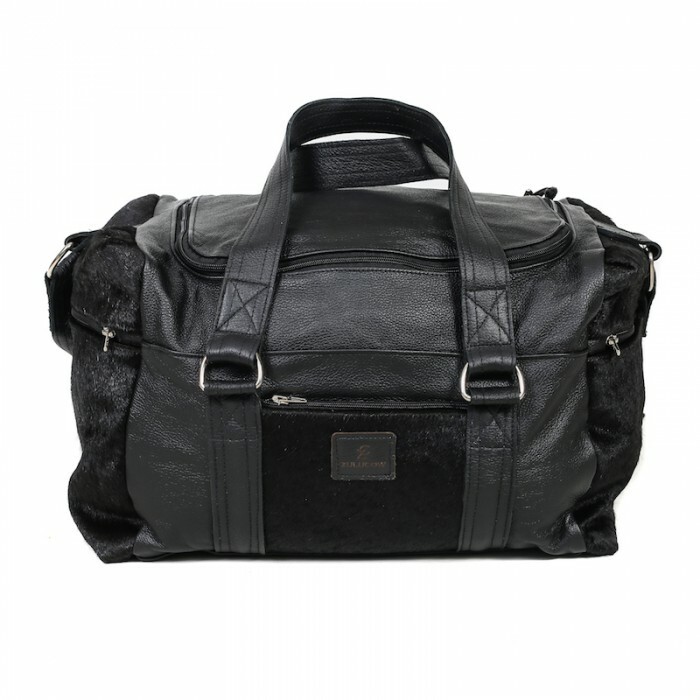 A striking, spacious weekend bag; travel bag or holdall, with a strong top zip opening to the main compartment. 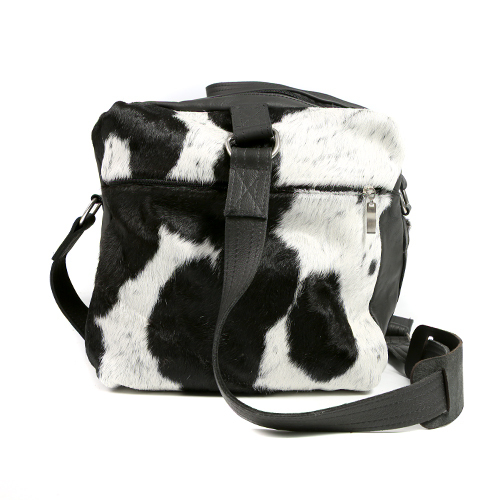 It boasts a gorgeous soft suede-leather lining with removable stiff natural suede bottom panel to lend it structure. 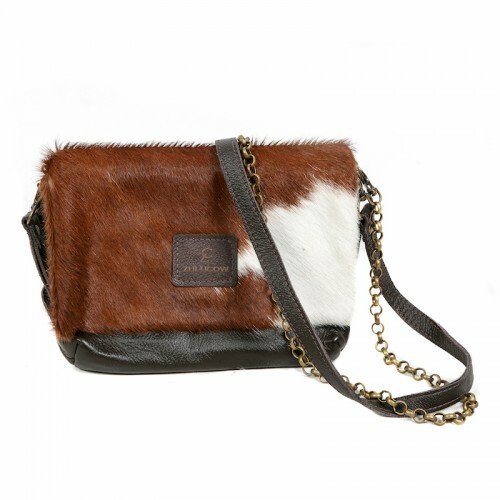 Soft, comfortable clutch handles and one strong adjustable shoulder strap with smart D rings on either end. 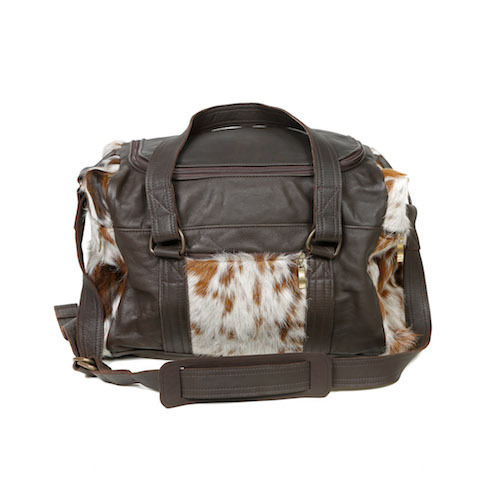 It has two large, leather lined, outside zip pockets on each end.